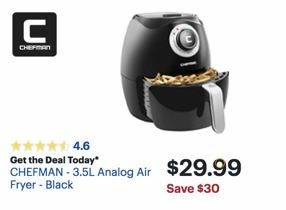 Add an air fryer to your kitchen this Black Friday 2019 or Cyber Monday with one of these deals. We will bring you info about the biggest and best deals and discounts here when the savings are announced online or in an advertisement for Black Friday. We are committed to helping you find the best shopping deals of the year from Amazon Prime Day to Thanksgiving Weekend. So get ready to save in 2019, 2020 and beyond! Philips: They have sold over 7 million air fryers to date. 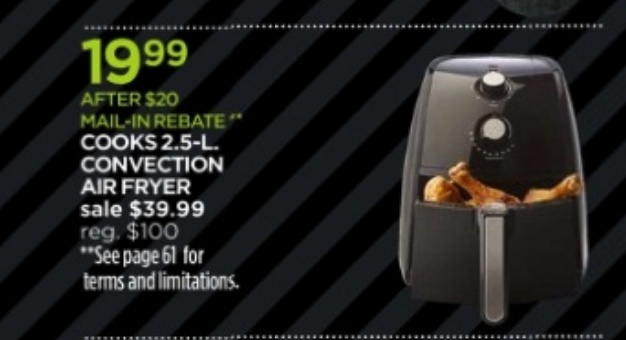 Philips debuted their first air fryer in 2010 at the IFA consumer electronics show in Berlin. 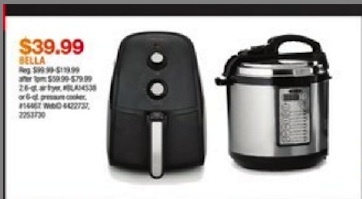 They now sell the Airfryer XL, the Avance and the Viva. According to Philips, “air is the new oil”. The XL collection allows you to cook for your whole family, the Avance offers digital controls and the Viva is for everyday use. GoWise: A Phoenix, Arizona headquartered manufacturer of pressure cookers, air fryers and bathroom scales owned by the international wholesale and trading company Ming’s Mark. 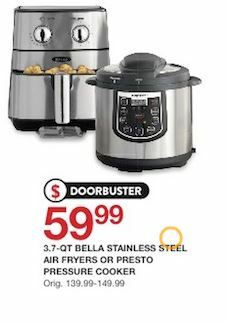 GoWise air fryers come in two different sizes: either 3.7 or 5.8 quarts. 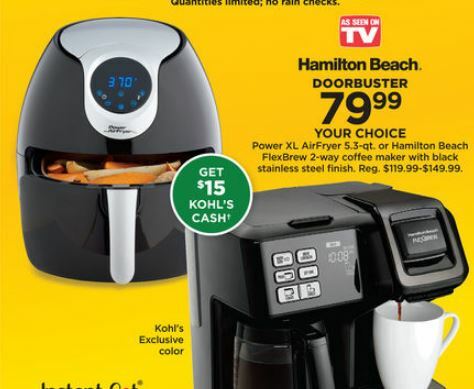 Avalon Bay: This is a manufacturer of small home appliance products. 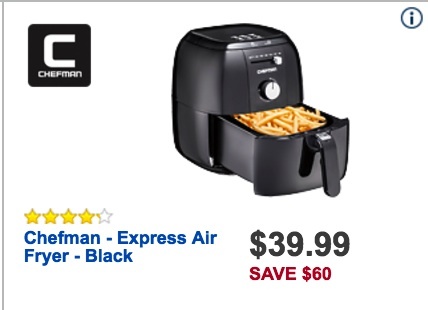 They offer a few different air fryers with a 3.7 quart capacity. These include the 100B, 100W, 100R and 220SS. T-Fal: A French cookware and small appliance manufacturer. 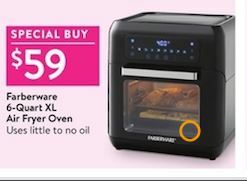 It originally started with a non-stick cookware product, and has since entered the healthier cooking space with an air fryer. The T-Fal actifry is a low-fat fryer and multi-cooker which uses its patented hot air system and stirring paddle. 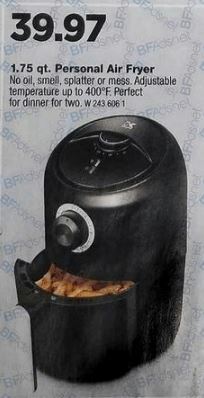 Black & Decker: The PuriFry HF100WD takes out the oil to give you crispy food without added fat. It is a 2.1 quart electric appliance made by the popular American manufacturer of power tools, home improvement and appliance products. 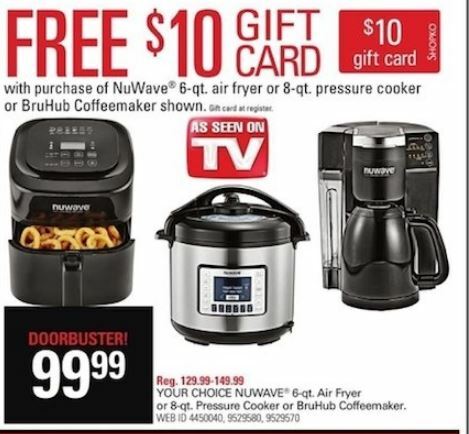 NuWave: A manufacturer of kitchen appliances including a precision induction cooktop, home coffee roaster and other products. 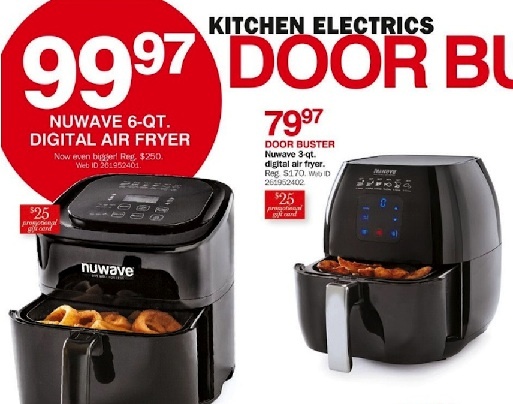 In this space, it is best known for the Nuwave Brio Digital Air Fryer, which is available in 3.5 and 6 quart capacities. 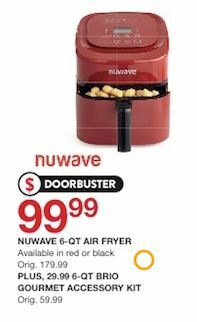 Nuwave also makes a 10 qt air fryer as well (called the 37101). 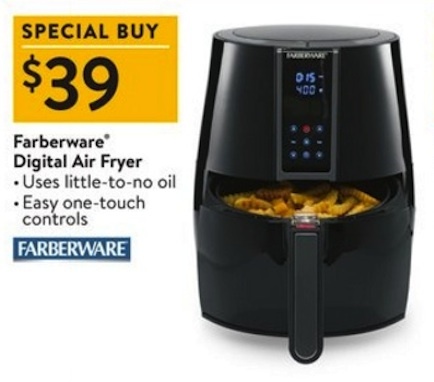 Farberware: They make an air fryer with a 3.2 quart food basket. Farberware is a popular brand of cookware that is now distributed by Meyer Corporation. Big Boss: They are dedicated to making products that promote healthier lifestyles. 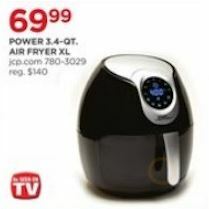 This is a highly advertised, As Seen on TV, 6 or 16 quart oil-less fryer. Secura: A leading small appliance manufacturer in North America that has sold more than 8 million products to date. 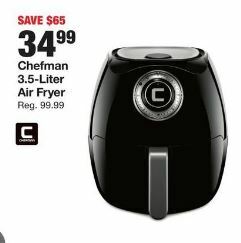 Among them is an extra large, 4.0 liter capacity 1500 watt electric air fryer. Other manufacturers and brands selling these products include Simple Chef, BLusmart, FrenchMay, SimpleTaste and Stone & Brick. 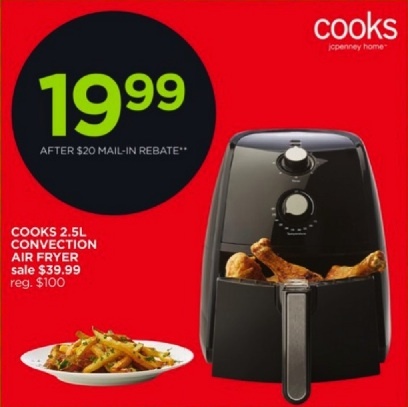 We will be scouring the print and online ads for the best deals on kitchen appliances. 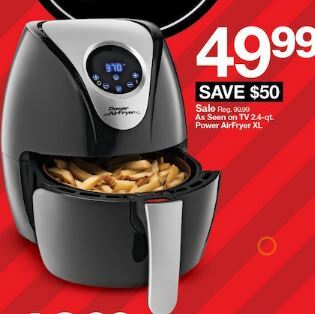 With the popularity of air fryers in 2018, we have been collecting all of the best deals for an air fryer here. 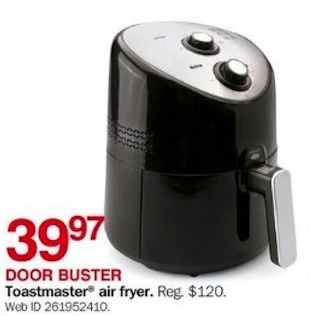 Click here for Amazon Cyber Monday product deals. 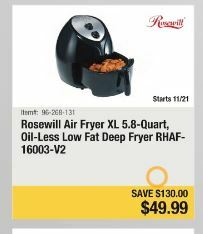 Click here for Cyber Monday deals on Air Fryers. 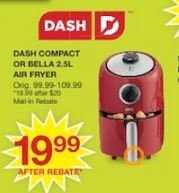 Click Here to Save 29% on Dash Compact Electric Air Fryers on Amazon for CYBER MONDAY. 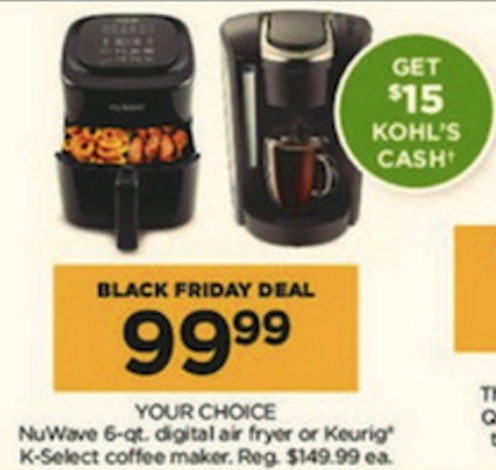 In one of the first leaked ads of this year, Kohls is already offering a black friday deal on a 6 qt. 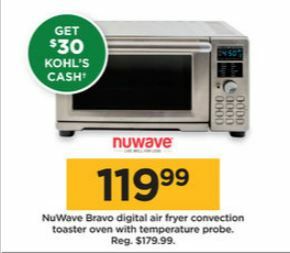 NuWave digital air fryer for just $99.99 (regularly priced at $149.99), plus you will get back $15 in Kohl’s cash with your purchase. 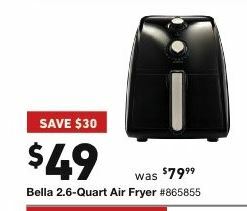 The air fryer has been a hot item over the past few years, so these won’t be the only one to offer a deal like this one. 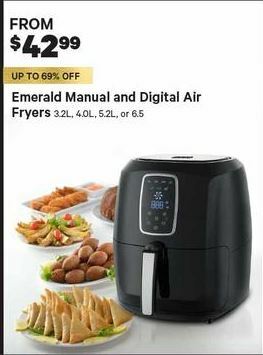 The air fryer delivers fried food without oil by circulating hot air with a mechanical fan to create the Maillard effect. Instead of the traditional frying method which completely submerges the food in oil, the machine creates a thin layer of oil on the food and then circulates hot air around it. Through this technique, it can make fried foods like potato chips, pastries, chicken and fish. We will have more discounts and savings as Black Friday approaches. So stop back soon!